Safety is THE most important aspect to remember in airsoft. A huge part of safety is having the proper kind of eye protection. 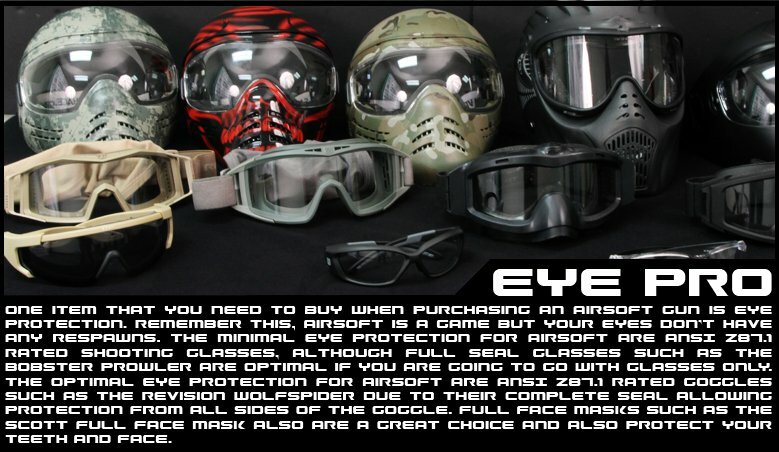 At Airsoft GI, we emphasize that fact and so all of the goggles we sell are ANSI Z87 compliant, which means they were designed to withstand "high mass impact."